Cynthia Kay Dougherty, age 49 went to be with her Lord, Monday August 27, 2018. She was born July 1, 1969 in Norman, Ok. Cindy was the daughter of Bud and Ella Dougherty. 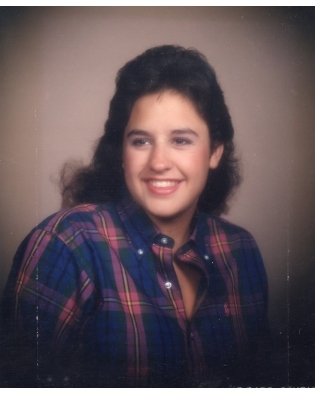 Cindy spent most of her life in Norman, graduating from Norman High in 1987. She enjoyed playing volley ball, actively following OU sports, and was an avid pool player. She loved her family and her pets faithfully. She was preceded in death by her dad, Bud Dougherty and husband, Larry Ward. Her beloved companion David Gyles supported her as she struggled with diabetes along with the superb care of Dr. David Williams. Those left to cherish her memory are her mother Ella Dougherty, two brothers, Curtis Dougherty and wife Lana, Daryl and wife Brandy, nephew Dillon Dougherty (whom she loved to watch play football). Niece Sheila and husband Steve Johnston, aunt and uncle Vera and Fred Boyd. Funeral services will be held at 11:00a.m., at Alameda Church of Christ, 801 E. Alameda, Norman, Oklahoma, on Friday, August 31, 2018 with Rusty Tugman officiating. Interment will follow at I.O.O.F cemetery Norman, Oklahoma.